Lifeworks Learning provides training to facility teams that prepares them to implement the Partners in Caregiving program in their facility. Contact us for estimates of the cost of customized training. 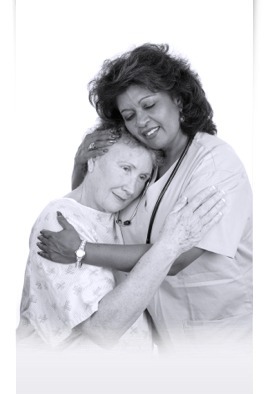 Partners in Caregiving is a training program that was designed by researchers at Cornell University to increase cooperation and effective communication between family members and nursing home staff. The researchers developed and evaluated the program, which includes two parallel six-hour workshops, one for nursing staff and the other for family members. Trainings focus on communication and conflict resolution skills. Partners in Caregiving brings about changes in family and staff perceptions and behaviors. Most important is the development of improved communication skills on the part of both groups. The Partners in Caregiving program curriculum is aimed at fostering cooperative communication between families and staff by teaching both groups communication skills. The Cornell research team rigorously evaluated the program in a randomized, controlled study including 20 nursing homes. Positive outcomes were found for both family and staff in the treatment group. In addition to improved attitudes toward each other, families of residents with dementia reported less conflict with staff and staff reported a lower likelihood of quitting. The control group, on the other hand, showed an increase in likelihood to quit over the same two-month period. Job burnout remained stable among the treatment group staff but increased in the control group over the study period. Though the focus of the training is not on direct care workforce retention, the findings indicate that the program can improve worker-family relations and enhance workers’ job commitment. A research summary is available with additional details regarding the research findings.